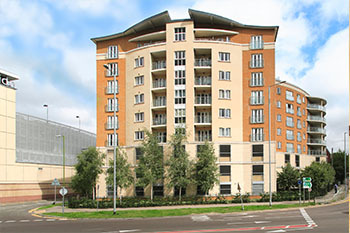 Abodebed specialise in serviced apartments and self-catering flats in Hemel Hempstead, Hertfordshire. These are available for flexible short term rental from as little as one day, and for as long as required. Our comfortable and well-equipped apartments are ideally located for Apsley, Kings Langley and Watford. In addition, Borehamwood, and Greater London are also easily accessible. Abodebed offers a range of fully equipped serviced apartments which are ideal for guests wishing self-catering facilities. Our apartments offer comfortable, home from home accommodation. Conveniently located for a wide range of visitor tourist attractions and local amenities. Our serviced apartments and self-catering flats in Hemel Hempstead are available for flexible short term or long term rent. 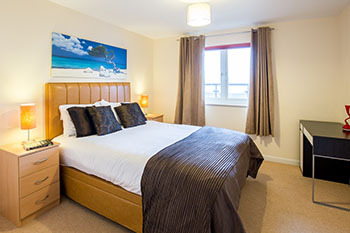 Our luxury, well equipped serviced apartments to rent in Hemel Hempstead offer better value short term and long term rental accommodation in Hemel Hempstead than hotel rooms. We are proud to have Hypnos twin, double and king-size beds in most of our apartments. Every apartment is equipped with a sofabed in the lounge too. We have flexible rental agreements for our flats and apartments in Hemel Hempstead so you can choose how long you stay. All flats have free onsite parking. Our flats in Hemel Hempstead are located near the famous ‘Magic Roundabout’ in Hemel Hempstead near the heart of the Riverside. 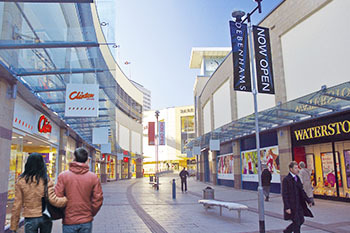 The apartments are conveniently located near the centre of Hemel Hempstead and are near a wide range of local amenities. Hemel Hempstead enjoys great train connections (Wembley - 20 minutes and London Euston - 30 minutes), easy and fast access via the motorway network to London Luton Airport (M1) and London Heathrow (M25) as it has direct access to both the M1 and M25 areas making it a very popular location for many well known companies. Our fully serviced apartments are ideally located for Apsley, Hertfordshire, Kings Langley, Luton, North London, Watford and the Dacorum area (Berkhamsted / Bovingdon). In addition, Borehamwood, Elstree and Greater London are also easily accessible from Hemel Hempstead. 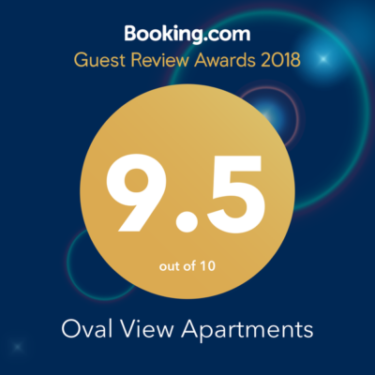 In January 2019, we were delighted to receive a Guest Review Award from Booking.com for our recently launched Oval View Apartments. Located adjacent to the KD Tower in the town centre, these newly built, modern and spacious apartments have been an instant hit with guests. In the letter accompanying the award, from James Waters, Vice President of Partner and Customer Services, Booking.com, he said “your property review score is one of the highest on Booking.com. That’s why we are honoured to present you with the 2018 Booking.com Guest Review Award.” Read more about this on our blog.